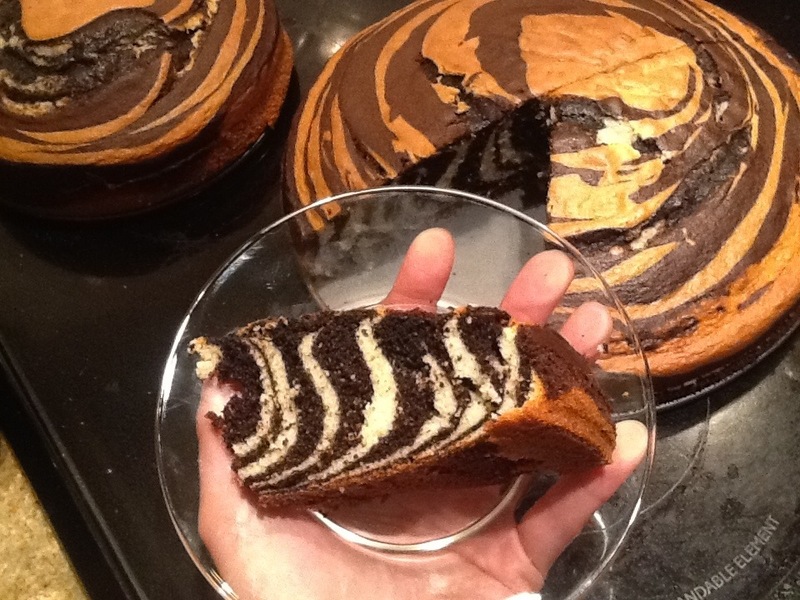 Zebra cake | ARTZCOOL'S BLOG! 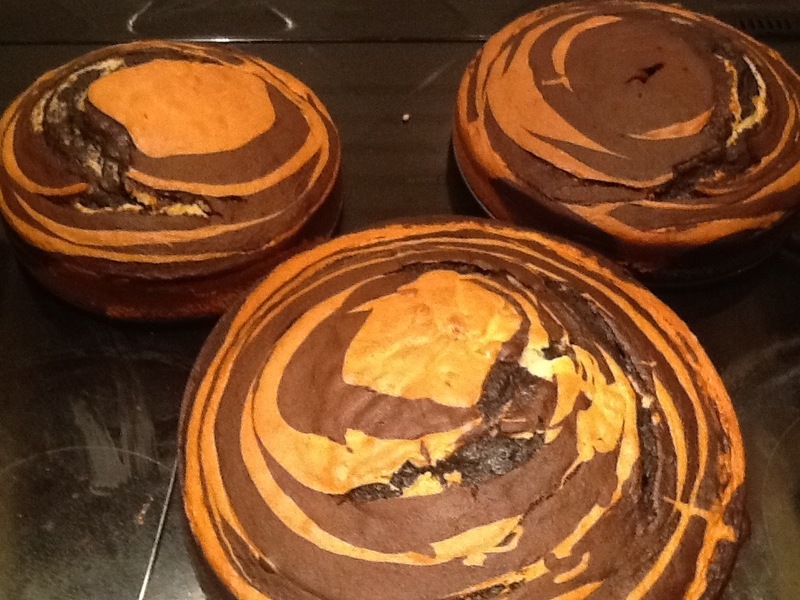 But I wish I had done zebra cake on the inside too! 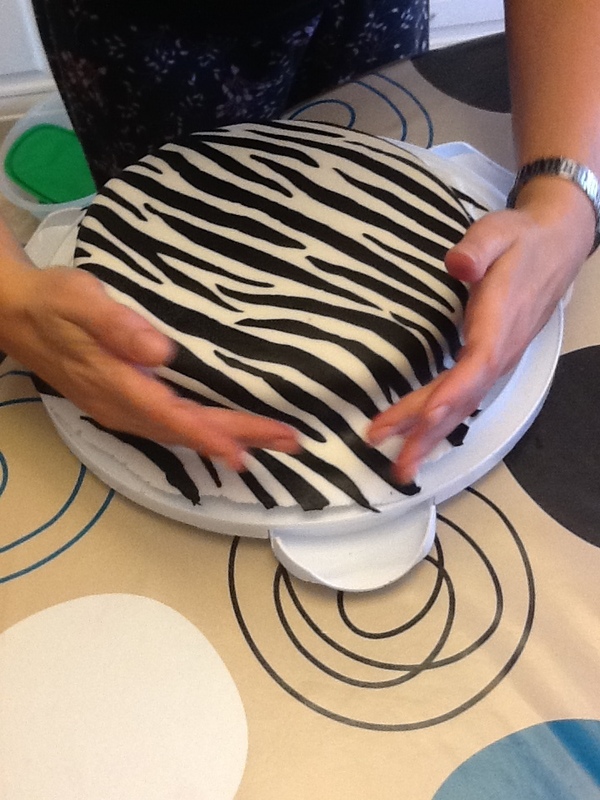 It is really easy and looks pretty cool! 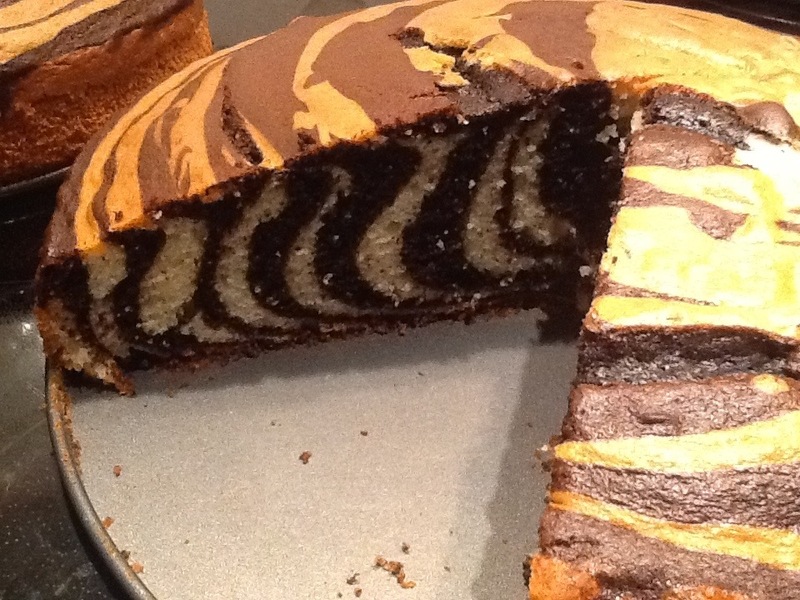 Also, the rainbow cake that is all over Pinterest is made with the same technique…maybe I will make us a rainbow cake for gay pride week….Sorry, back to the zebra cake. 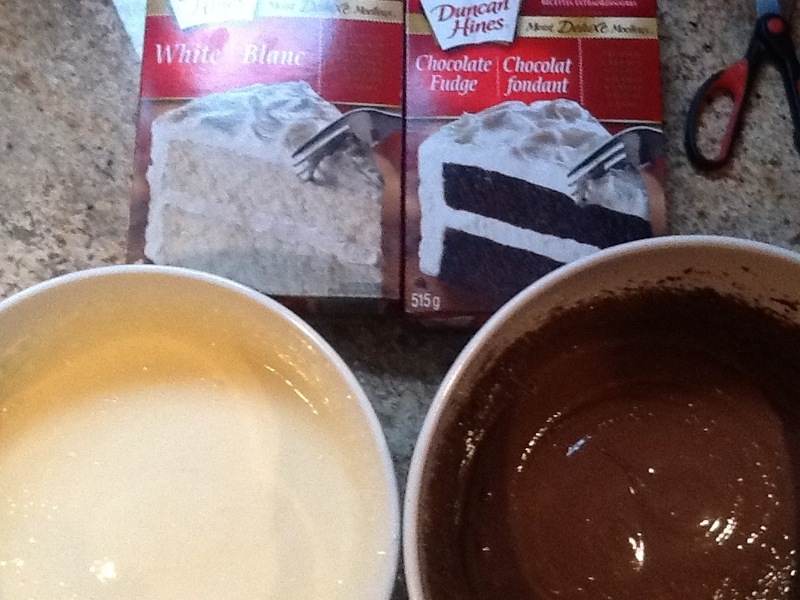 After years and years of trying many different cake recipes, I have come to the conclusion that Betty Crocker and Duncan Heinz are just better cooks than me. I know they might not be the healthiest options, but come on, we’re talking about cake here! 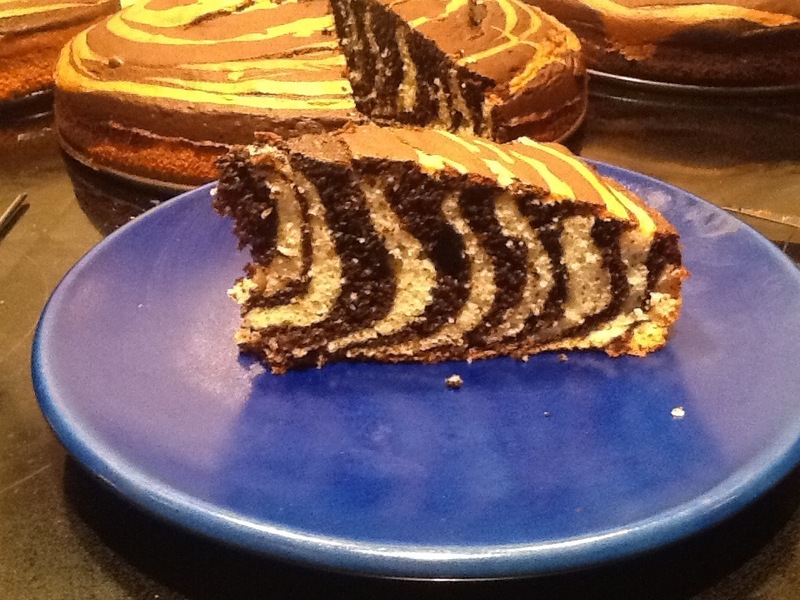 Who cares if it’s healthy, it just has to taste good, and it saves you time so you can focus on the fun stuff like the icing…or making a zebra pattern. I don’t think there is anyway I would have the time and effort to make this from scratch…But, if making it from scratch works for you, hey, you go girl…or boy…don’t want be stereotypical here, right? 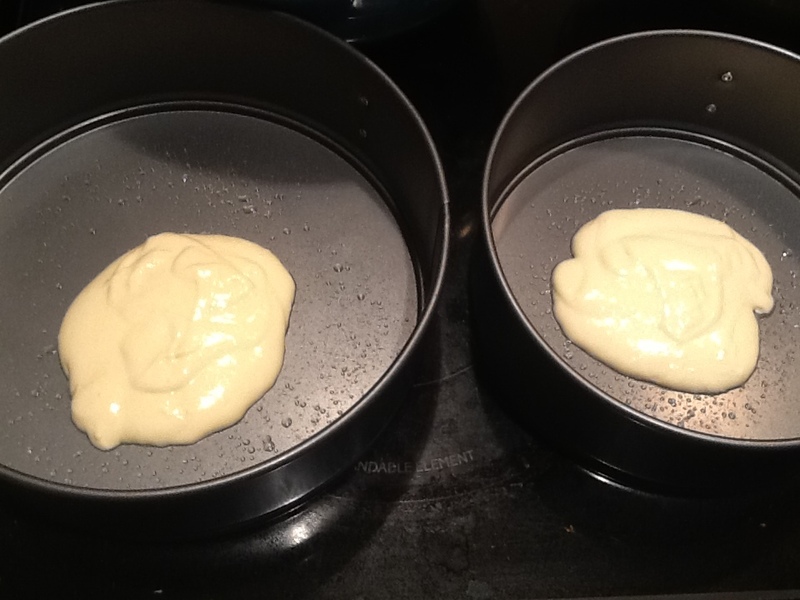 Men can make cakes too, right? 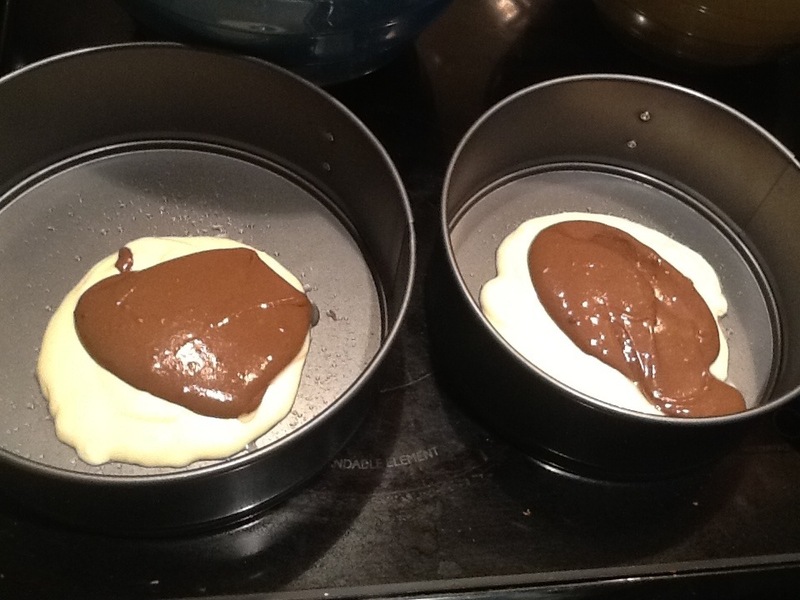 So….start by mixing up two batches of cake mix, one chocolate, and one vanilla. Yup, that’s it. Bake in the oven according to the instructions. I have also learned that actually following the recipe and baking times on the box generally works pretty well…who would have thought?? Here’s the cool part, check out what it looks like on the inside!!! I forgot to take a picture when it is actually iced. 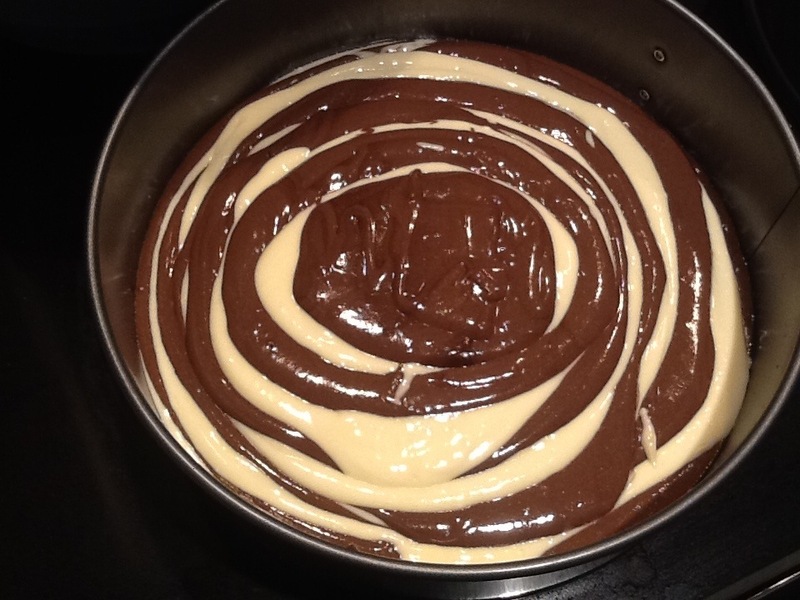 It looks great with icing! 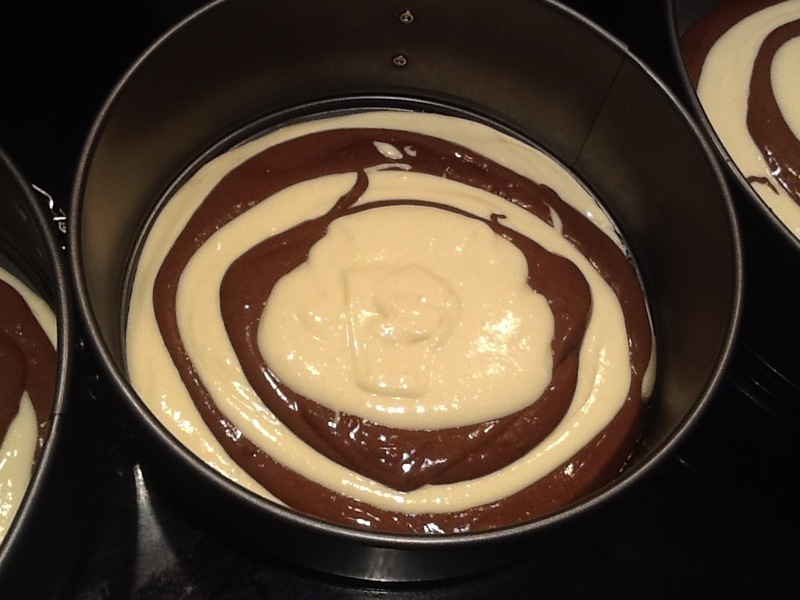 I really want to try this with different colours of cake…maybe I’ll make John a rainbow cake for his birthday! 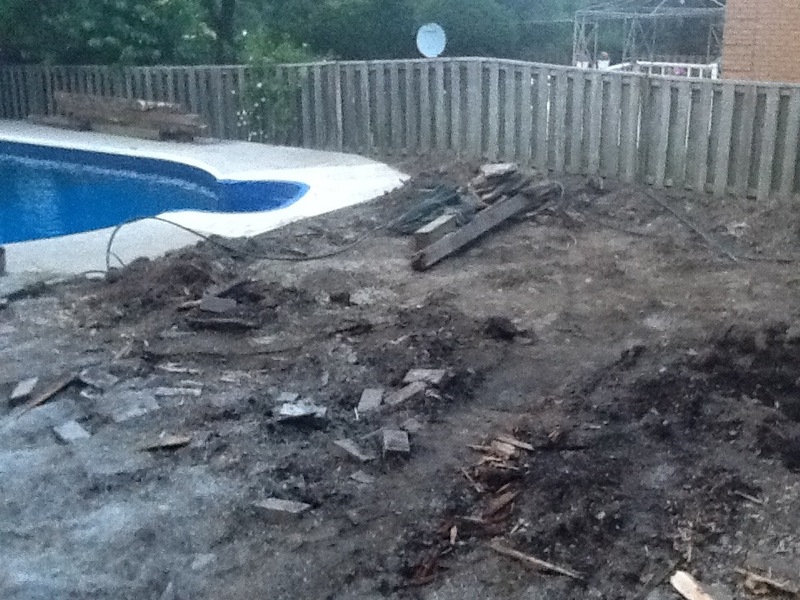 By the way, here’s what our backyard looks like right now…it’s a disaster! We are still in the demolition stage of the reno. Only four more days of school….CAN’T WAIT UNTIL SUMMER!!! I love being a teacher!